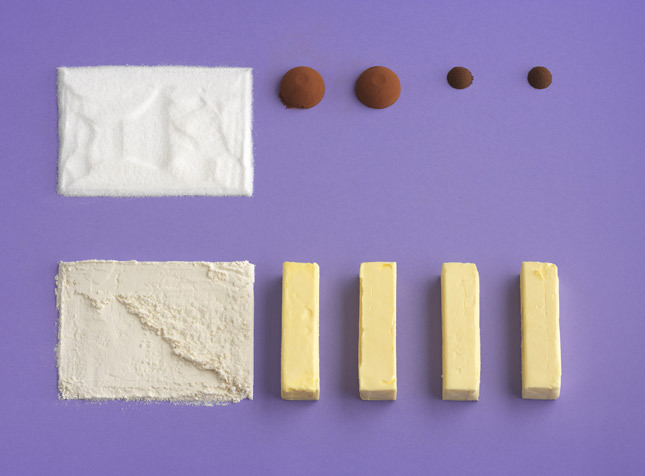 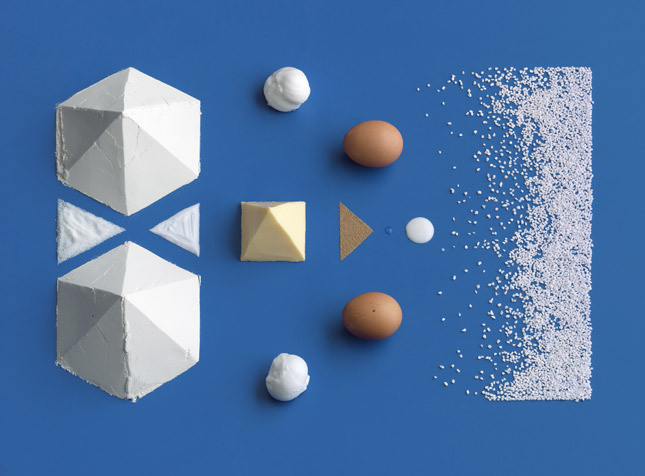 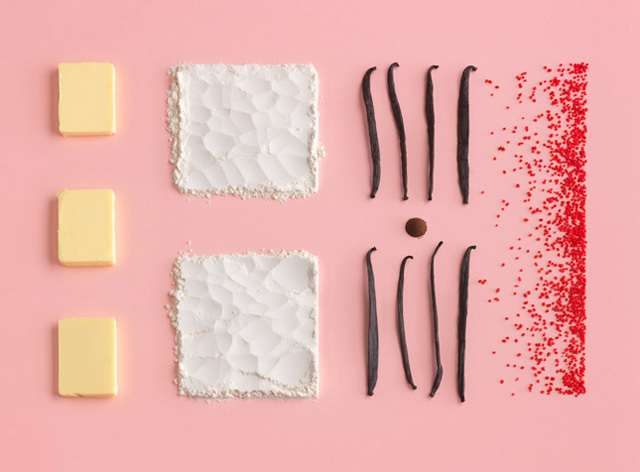 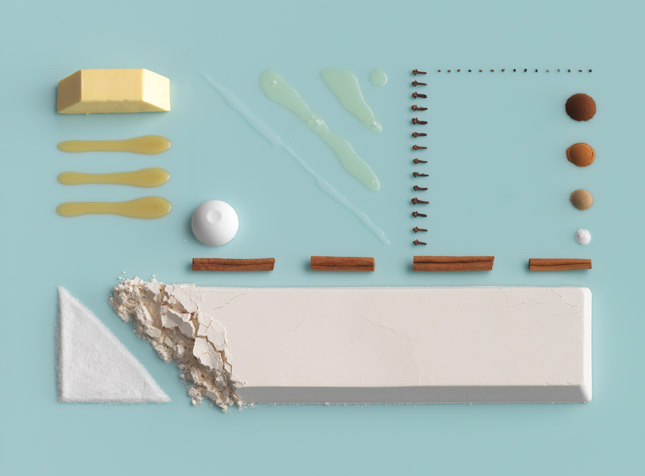 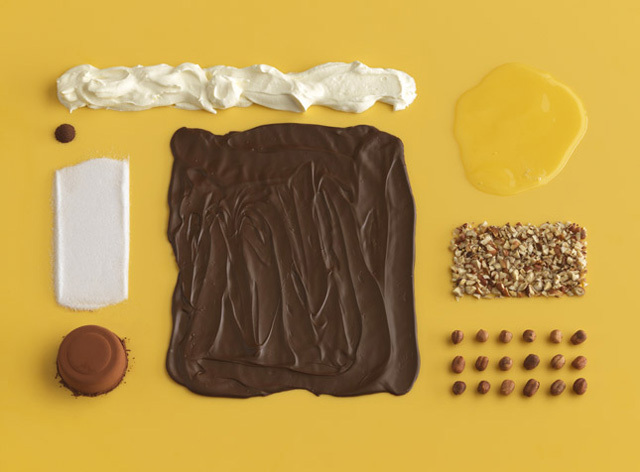 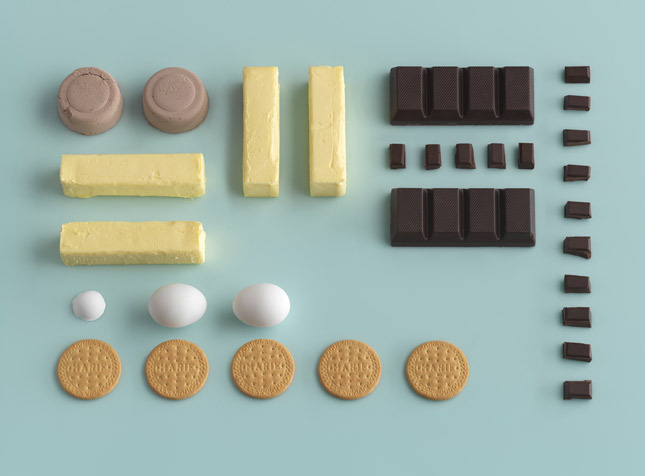 IKEA Cookbook Channels Japanese Minimalism & High Fashion. 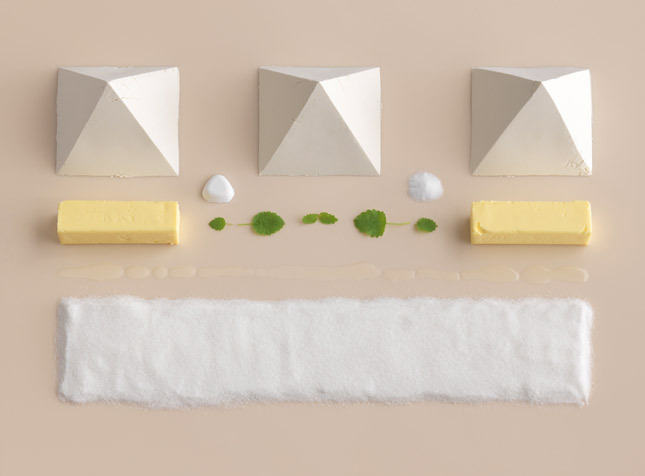 Stunning food photography from Carl Kleiner and styling by Evelina Bratell for IKEA’s Hembakat är Bäst (Homemade is Best) Cookbook. 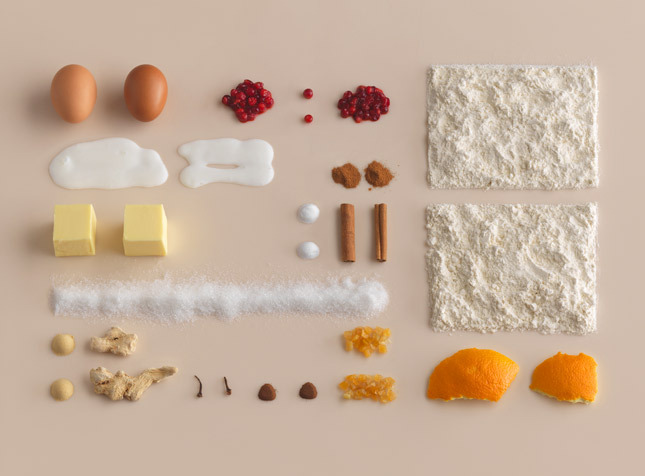 Created by Swedish design and marketing agency Forsman & Bodenfors, the cookbook attempts to echo IKEA’s unique, minimalistic design style, whilst maintaining a “connection between IKEA’s kitchen appliances and one of the best things you can do in a kitchen, some great baking.” The 140-page book took its styling inspiration from high fashion and Japanese minimalism, depicting 30 traditional Swedish cake recipe’s ingredients rather than the finished product.